“Neutrality is no longer feasible or desirable where the peace of the world is involved,” Wilson said. Four days later, on April 6, 1917, Congress declared war on Germany. The centennial of the U.S. entering World War I this April 6 also marks the third anniversary of the war in Ukraine. One hundred years later, trench warfare isn’t a thing of the past in Europe; and Russia’s military aggression has dimmed the prospects for long-term peace on the Continent. Today, another static, long-distance trench war is ongoing in Europe along the 250 miles of front lines in eastern Ukraine. Tanks, artillery, machine guns, snipers, land mines, and trenches—the type of warfare in Ukraine today, and the day-to-day life of the soldiers who fight in it, is not altogether different from what American doughboys encountered on the Western Front a century ago; albeit on a much smaller geographic and human scale. Meanwhile, the U.S. is investigating alleged Russian interference in the 2016 presidential election, and Moscow’s military brinksmanship has rattled countries across Eastern Europe, turning the region into the most rapidly militarizing region on earth. “We all know that today, a Europe whole, free, and at peace rises or falls with Ukraine,” Victoria Nuland, then-assistant secretary of state, said in January 2015. “Ukraine’s front line for freedom is ours as well,” Nuland said. The Ukraine conflict began on April 6, 2014. Spurred by Russian security agents and special forces troops, two Russian-backed breakaway territories in eastern Ukraine declared their independence from Kyiv during the following weeks. Ukraine subsequently launched a military operation to counter the advance and take back lost territory. By July 2014, Ukraine had retaken 23 out of 36 districts captured by combined Russian-separatist forces. Three years and two cease-fires later, the war is ongoing. Ukrainian government troops engage in daily combat against a combined force of pro-Russian separatists and Russian troops. A February 2015 cease-fire has collapsed. Fighting, including the use of artillery and rockets proscribed by the cease-fire, still occurs daily, as do military and civilian casualties on both sides of the war. About one-third of the conflict’s fatalities have occurred since the cease-fire went into effect. Last week alone, six Ukrainian troops died in combat, and 39 were wounded in action. “The intensity of enemy fire remained high throughout the week,” Vilyen Pidgornyy, a spokesman for the Ukrainian Ministry of Defense, said during an April 3 press briefing in Kyiv. “Russian proxies actively violated the cease-fire regime both with direct and indirect fire at Ukrainian positions,” Pidgornyy said. Europe’s only ongoing land war has so far killed about 10,000 Ukrainians—roughly one-third of whom have been civilians, according to United Nations data. In 2017, the Organization for Security and Cooperation in Europe has so far recorded 86 civilian casualties, including 16 fatalities. As the war passes its third anniversary, and the fighting continues its sine wave of waxing and waning violence, a humanitarian disaster looms for civilians caught living in the crossfire. “Hundreds of thousands of people are living under the perpetual threat of shelling, shooting, and landmines. Their access to basics like food, water, and electrical power has been dramatically curtailed,” Peter Maurer, president of the International Committee of the Red Cross, said during a recent visit to Kyiv. Similar to trench warfare on the Western Front in World War I, soldiers on both sides of the war in Ukraine fight from fixed positions and rarely see their enemy. At some places, the front line is clearly defined. Trenches line both sides of a no man’s land, which is as narrow as a couple hundred meters in places. In Shyrokyne, a front-line hot spot at the southern terminus of the front lines on the Sea of Azov, Ukrainian troops recounted to this correspondent how their enemies would crawl up to the Ukrainian trenches in the night and challenge the Ukrainian soldiers to single combat—one-on-one, hand-to-hand fights to the death. The Ukrainian troops refused. A few machine gun rounds sent their inebriated enemies scurrying back to their own trenches. At places where the front lines are kilometers apart, Ukrainian troops garrison in villages and towns, and they have built dugouts and hardened fighting positions in the fields, tree lines, and forests. At these places, artillery and rockets are still common—and one can never escape the danger—as are small arms skirmishes between reconnaissance patrols. Near the separatist stronghold of Luhansk at the northern reach of the war zone, a river divides the front-line town of Lobacheve between the opposing armies. 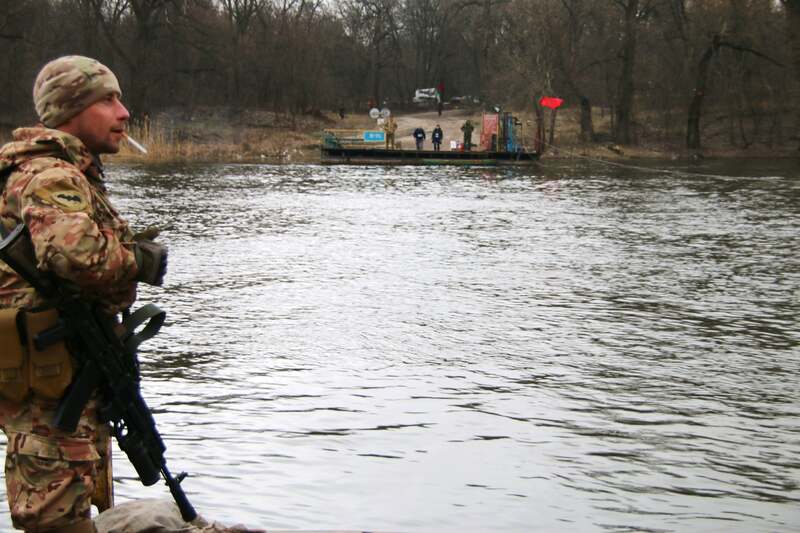 A Ukrainian soldier smokes a cigarette across a river from his enemies in the front-line town of Lobacheve. Every day the opposing sides agree to a short, hourlong truce to allow residents to cross back and forth across the river, including children going to school. 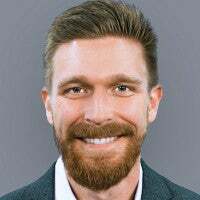 On one such occasion, this correspondent observed Ukrainian troops standing casually along the riverbank smoking cigarettes as their enemies, about 100 meters away across the river, did the same. One Ukrainian soldier held up a hand, his enemy across the river returned the greeting. Then, when the daily truce had expired, the soldiers on both sides quickly scattered to find cover. “Throughout the war, it was always my endeavor to view my opponent without animus, and to form an opinion of him as a man on the basis of the courage he showed,” Junger wrote. The war in Ukraine has more than weapons and trenches in common with World War I. The war highlights an oft-forgotten lesson from World War I—economic and cultural ties between countries do not prevent conflict. When World War I broke out in 1914, Germany and the United Kingdom were each other’s top trading partners. The countries also had deep cultural ties, including shared blood among their royal families. German Kaiser Wilhelm II was the cousin of the British monarch at the time, King George V.
Yet, those bonds weren’t enough to stop the two countries from going to war in what was, at the time, the deadliest conflict in human history. A century later, Ukraine and Russia have been at war for three years. Yet, Russia remains Ukraine’s No. 1 trading partner and top foreign investor. Ukraine and Russia are not simply connected by trade, of course. Many Ukrainians have family in Russia, and vice versa. And many older Ukrainian veterans served in the Red Army alongside Russians during the Soviet era. 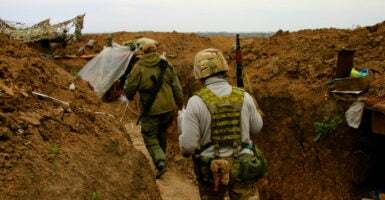 “The Russian people are not the enemy,” 62-year-old Ukrainian soldier Kovbel Vasyl Vasyliyovych told The Daily Signal during an earlier interview from a military base near the front lines. Similarly, Wilson claimed in 1917 that the U.S. was at war with the government of Germany, not its people. “We have no quarrel with the German people,” Wilson said in his speech before Congress. The threat of death is unending and arbitrary in the kind of static, long-distance warfare seen in Ukraine—another throwback to World War I. Such constant terror tests the grit of Ukrainian soldiers in similar ways to what U.S. troops endured when they arrived in France in 1917. Some soldiers adopt a sarcastic fatalism to deal with their fear. They laugh at the things that can kill them, and treat the war like a sport. Some soldiers grow quiet and gloomy. They brood over their fears, imagining at every moment, how the war could kill them. What if a mortar falls in the doorway while I’m smoking a cigarette? What if the artillery starts while I’m outside taking a shower? They are never quite able to overlook the danger for the sake of the task at hand. So their fears consume and exhaust them. They become reluctant to leave the underground shelters for fear of abandoning the one place that provides a modicum of safety. They are frozen by the conflict. Letters from children at a Ukrainian front-line outpost near the village of Novomykhailivka. There are also, of course, the rare exceptions who maintain absolute intellectual and emotional clarity despite the constant danger. Those soldiers, the born warriors, treat the war as a job to be completed well and efficiently, with no particular hatred toward their enemies. Most soldiers find some way to make the war their home. They recreate pieces of the lives they left behind. Some build gyms, adopt stray animals, grow gardens, or even take up art. A unit of the Aidar Battalion garrisoned in the village of Taramchuk built a sauna from the debris of homes destroyed by artillery and rocket shrapnel. Instead of using hand-written letters, Ukrainian soldiers can send a text, email, or a message on social media. Yet, the power of an actual letter is as much of a morale boost today as it was a century ago in the trenches of eastern France. 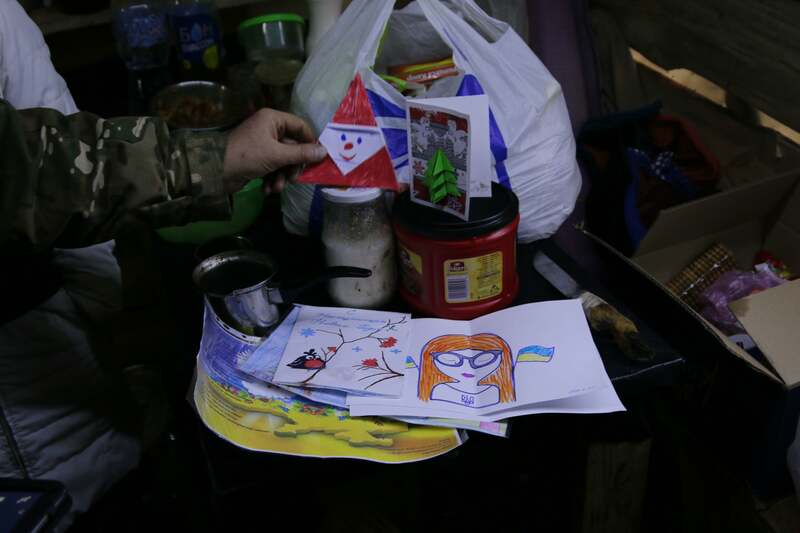 Across the front lines, the interiors of Ukrainian dugouts, forts, tanks, trenches, cellars, and foxholes are decorated by drawings and letters from school children. In frontal warfare—as it existed in World War I and exists today in Ukraine—the soldiers who fight in it and the civilians caught in its crossfire are the ones who suffer. In cities and towns safely distant from the war, its effects are diminished, and in some cases invisible. Many Ukrainians could drive home from the war in few hours if they wanted. And what they would find in their hometowns is a country that has, except for the territories caught in the crossfire, largely moved on from the war. Unlike the wars in Iraq and Afghanistan, with which most Americans are familiar, Ukraine is not a country at war. The war is limited in geography to a 250-mile-long front line; the battlefield extends on either side of the contact line as far as the range of the weapons used. The war is a destination—once you’re at it, you’re in it. Yet, on the edge of the war, and even sometimes within its boundaries, normal life continues. The transition from war to peace is as simple as a few minutes by car. Yet, the war lingers in your mind long after you leave it—its effects can manifest at any time, due to the most random stimuli. For 33-year-old Ukrainian army veteran Konstantin Bernatovich, who saw more than a year of combat in the front-line town of Pisky, it was a slide at a water park that did it. He took his twin sons to the park for their 13th birthday while he was home on leave from the war for six days in July 2015. Going down the slide, the “thump, thump, thump” of his body on the plastic seams reminded him of the artillery bombardments he faced every day in Pisky. He was transported back to the war, in his mind, and he had a panic attack. “Too much adrenaline,” he said, relating the experience. 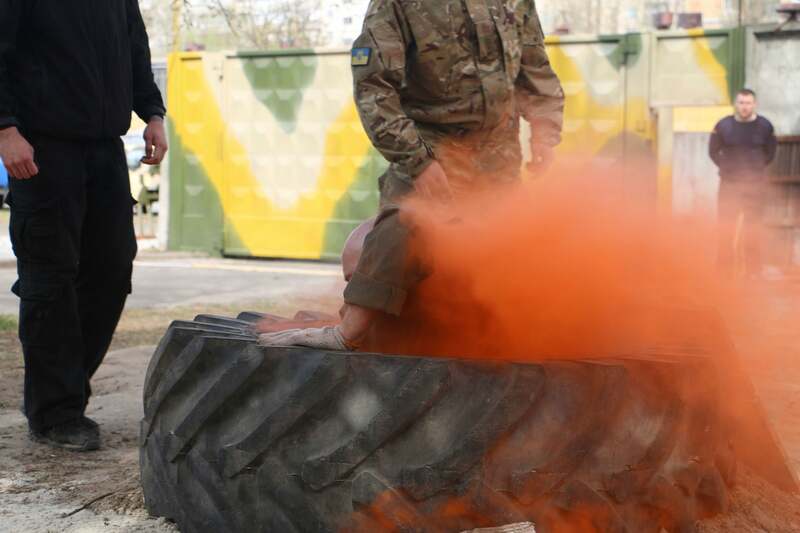 A Ukrainian soldier goes through an obstacle course during basic training at a base in Kyiv. “They sent you home to rest, and you put it in the background of your mind; but it was not like a bodily fatigue from which you could completely recover, it was a sort of damage to your essential being,” Lewis wrote. Wars never truly end for those who fight in them. That’s especially true when it’s so easy to rejoin the life you left behind as if the war never happened at all—or isn’t still going on. It can leave the Ukrainian soldiers’ heads spinning when they return to what feels like normal, peacetime life after only a few hours by car or train from the artillery attacks and sniper fire. In Ukraine, for those not living in its grip, the war has become something to somberly shake your head at during a news report, and then forget about as you go on with your daily life. In Kyiv, one would hardly know this is the capital city of the country in which Europe’s only ongoing land war exists. The ballet theaters are full, and movie theaters are playing “Kong: Skull Island.” Hip speakeasies are popping up across the city, where bearded, tattooed hipsters make craft cocktails and jazz bands take to the stage. Ukrainian Fashion Week was held in Kyiv in February. There are new art spaces popping up across the city, as well as trendy new fusion restaurants. For many returning soldiers, they see life outside the war zone as evidence that many Ukrainians have forgotten about the war before it has even ended. In the war zone, the Ukrainian soldier’s day-to-day existence is mainly consumed by two priorities: not dying, and performing the day-to-day chores required to sustain their Spartan way of life. A soldier’s value is not simply measured by his or her combat skills. In this war, it’s equally as important to be handy as it is to be deadly. Unlike in the U.S. military, which has specialized career fields for things like civil engineering, medical care, and food preparation (or contracts these duties out to civilians), among Ukrainian front-line units these tasks are every soldier’s responsibility. Most soldiers live in homes or buildings they have requisitioned for military use. Throughout the ghost towns they are fighting to defend, they forage for food, water, and scrap material useful for survival. Someone in each unit has to be able to dig an outhouse, do the laundry, hook up a generator, or, as is the case for the 92nd Brigade outside Marinka, illegally tap into the local power grid to draw electricity. You have to know how to dig a well for fresh water, and prevent pipes from freezing over in winter. Inside a Ukrainian dugout on the front lines in eastern Ukraine near the separatist stronghold of Luhansk. When a soldier is wounded, and the engine to the old, beat-up pickup truck you use to ferry casualties to the nearest hospital refuses to start, you have to be able to pop open the hood and get the engine going, or your friend dies. When the enemy attacks, do you know how to properly warm up the engine to the 1970s-era armored personnel carrier that could be your one shot at survival? Can you change a flat tire by yourself? Can you troubleshoot a malfunctioning radio, or make an ad hoc repair to a worn-out mortar tube while under fire? Can you tell by its sound if an artillery shot is incoming or outgoing? Do you know how to dig a combat trench, or pile up debris in front of the door to your dugout to stop artillery shrapnel from spraying inside and killing everyone? There are a few scattered troops who have an iPad or other tablet loaded with digital maps overlaid with enemy and friendly positions. But most soldiers still use paper maps. After three years of war, these maps are crumpled and smudged with years of erased and redrawn symbols. The assignment of cooking duties varies from unit to unit. At some places, soldiers rotate the task, while at others, a soldier with a culinary thumb emerges. 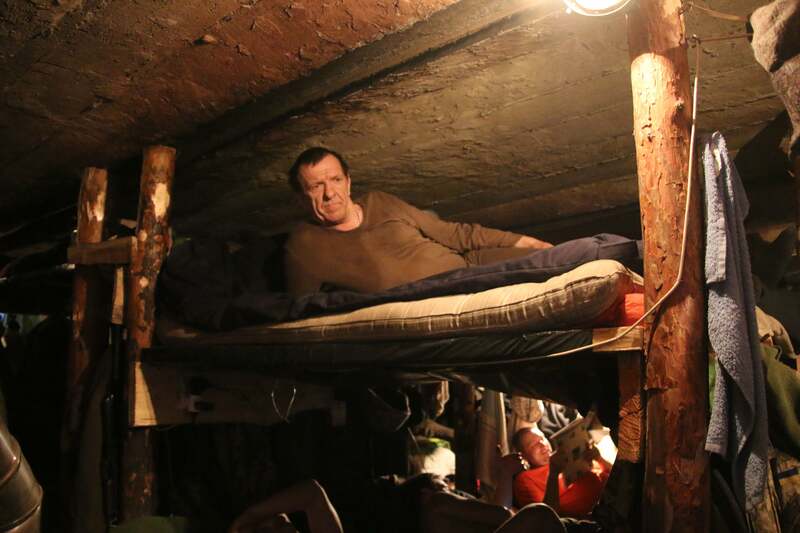 Inside the basement of an abandoned home in the front-line town of Pisky in June 2015, a 53-year-old soldier and former coal miner named Vasiliy Ivaskiv cooked breakfast and dinner for about a dozen other soldiers—some as young as 19. At night, as artillery thundered down outside, the soldiers sat down together at a table in their improvised dugout to share a meal. They laughed, clinked glasses, and told jokes like a family would. The February 2015 cease-fire has not stopped the war; its terms have only affected the way in which it is fought. 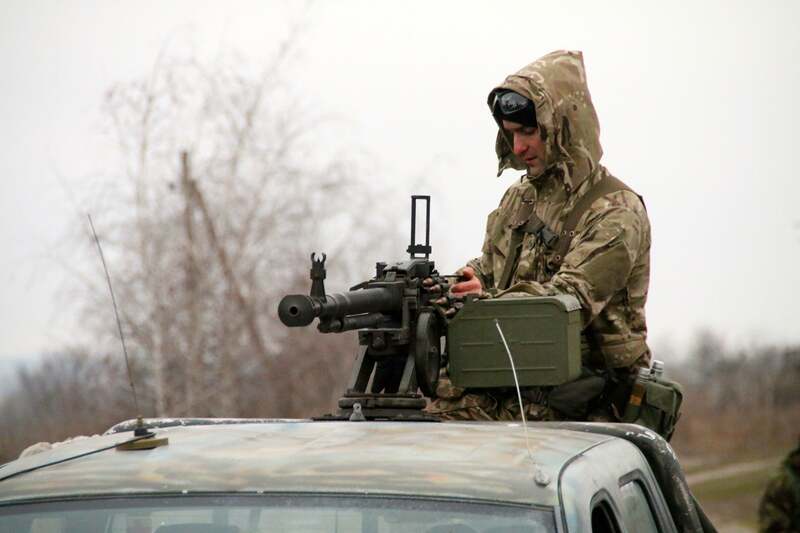 According to the cease-fire’s rules, the Ukrainian soldiers cannot attack to take new ground. They are also constrained in their ability to return fire and the weapons they can use to defend themselves. Their commanders are under orders to not violate the cease-fire’s rules by moving proscribed heavy weapons up to the front lines. Periodically, when Ukrainian forces face an attack or a surge in fighting, which could be the precursor to a broader offensive, they will bring banned weapons nearer to the front to prevent an enemy breakthrough. Ukrainian troops constantly drill on moving heavy weapons and armor to support front-line units in the event of an enemy attack. There are some modern technological trappings to the war in Ukraine, which distinguish it from World War I. One example: Both sides regularly employ drones to surveil enemy positions and target indirect fire. Although, so far, drones have not been used to deploy weapons in this conflict. Offensive airpower is proscribed by the cease-fire, and apart from drones, it has played a minor role in the war. Consequently, the war in Ukraine has become a proving ground for Russia’s strategic use of hybrid warfare weapons like propaganda and cyberattacks to supplant the role of airpower. Initially, airpower in World War I was used to scout enemy positions and target artillery. However, as the war went on, aircraft were used to attack enemy positions, and eventually, bomb industrial and civilian targets miles behind the front lines. Through airpower alone, some theorized at the close of World War I, an adversary’s economic ability to wage war, and the morale of its civilians to support the war effort, could be broken. On Ukraine’s battlefields, Russia’s hybrid weapons have not replaced the more tactical uses of combat airpower like close air support, or air interdiction. But hundreds of miles behind the front lines in Ukraine, Russia’s propaganda and cyberattacks are in full force. 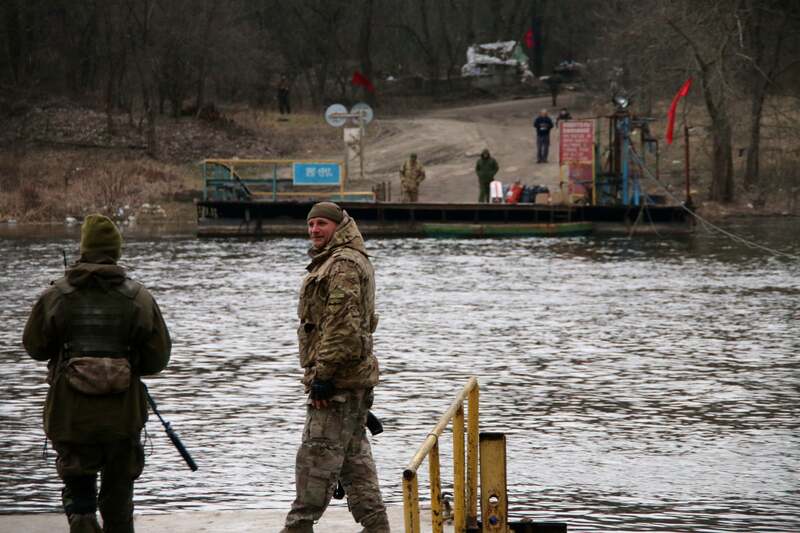 Ukrainian soldiers across a river from their enemies in the front-line town of Lobacheve. Ukraine’s power grids, elections, and transportation hubs like Kyiv’s Boryspil International Airport have all weathered Russian cyberattacks. And Russia’s incessant propaganda campaign in Ukraine has targeted the morale of its civilian population. “It worries me a lot that Ukrainians, even a lot of young people here, don’t know we’re really fighting a war against Russia,” Borys Antonovich Melnyk, a 75-year-old Ukrainian soldier and veteran of the Red Army, told The Daily Signal during an interview from a rear echelon base. Some weapons have changed, some remain the same. But a century later, Europe is still not at peace, and the world is still not a safe place for democracy. In each succeeding war there is a tendency to proclaim as something new the principles under which it is conducted. Not only those who have never studied or experienced the realities of war, but also professional soldiers frequently fall into the error.